The Beauty of Life: What's Your Beauty Indulgence? Director of Makeup Artistry for M.A.C Cosmetics Gregory Arlt Fills Us In. What's Your Beauty Indulgence? Director of Makeup Artistry for M.A.C Cosmetics Gregory Arlt Fills Us In. The What's Your Beauty Indulgence? series gives you an inside look into the products that my fellow industry insiders hold in highest regard. Be it a moisturizer or a lipgloss, a styling tool or a candle, these products aren't to be missed. If you haven't heard me talk about my Twestie (translation: Twitter bestie) before, you've probably been living under a makeup-free rock. I have a very special bond with Gregory Arlt, who -- when he's not referring to himself as my Twestie -- moonlights as the Director of Makeup Artistry for M.A.C Cosmetics. Gregory is super knowledgeable when it comes to all things beauty, so I was delighted to have the chance to pick his brain on his number one beauty indulgence. And true to form, he did not disappoint! In his own words, here's Gregory's beauty indulgence. I LOVE Kneipp Herbal Baths and first got introduced to them in the late 80's when I worked at Fred Segal in Santa Monica. As you know, I travel the world doing makeup which can take a lot out of a guy, so there's nothing better than a relaxing bath in one of these amazing herbal elixirs after a long day. 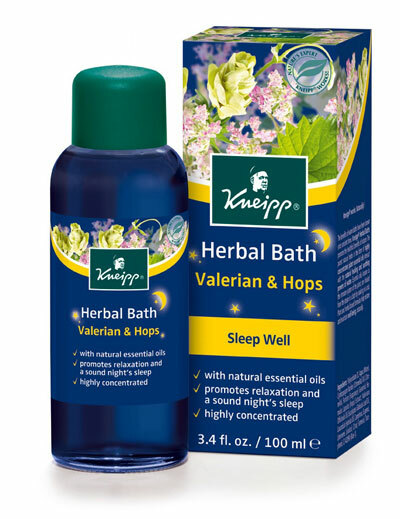 My favorites are the Orange Blossom (Neroli is my favorite smell in the world), the Melissa and definitely the Valerian and Hops when it's time for bed. I love that they color my bath water, too! For more things Gregory, you can follow him on Twitter here. Posted by Jamie at 7:00 AM Labels: M.A.C, What's Your Beauty Indulgence?